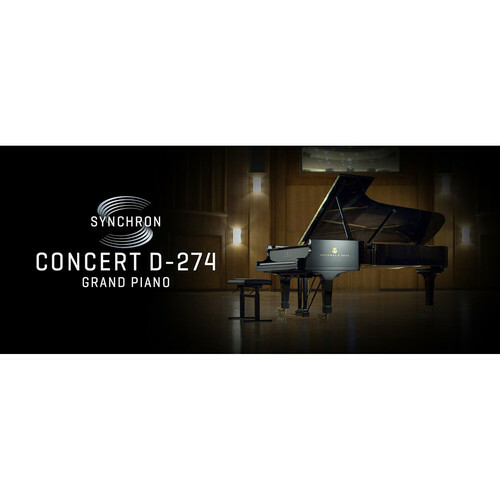 Sampled on a world-renowned stage utilizing precise robotic technology, the Vienna Symphonic Library Synchron Concert D-274 is a virtual instrument designed for composers, sound designers, or anyone else who wants the sound of a Concert D-274 piano in their digital library. This software offers over 4000 samples per key with every nuance of the instrument captured: body resonance, sympathetic resonance, and more are part of the sound. Dedicated release samples will change depending on how hard you play your MIDI controller. Support is on hand for una corda, sostenuto, and sustain pedals, with half pedaling and repedaling as well. Multiple microphones have been used to record the Concert D-274, which is a Hamburg Model. In the standard edition, five microphone configurations are available to you, making use of mics such as the Sennheiser MKH 8040 and the Sennheiser MKH 800. Mono and stereo miking are both possible, with Decca Tree mic positioning for a classic stereo sound with minimal room ambience. If you want more ambience, make use of the Room Mix preset. 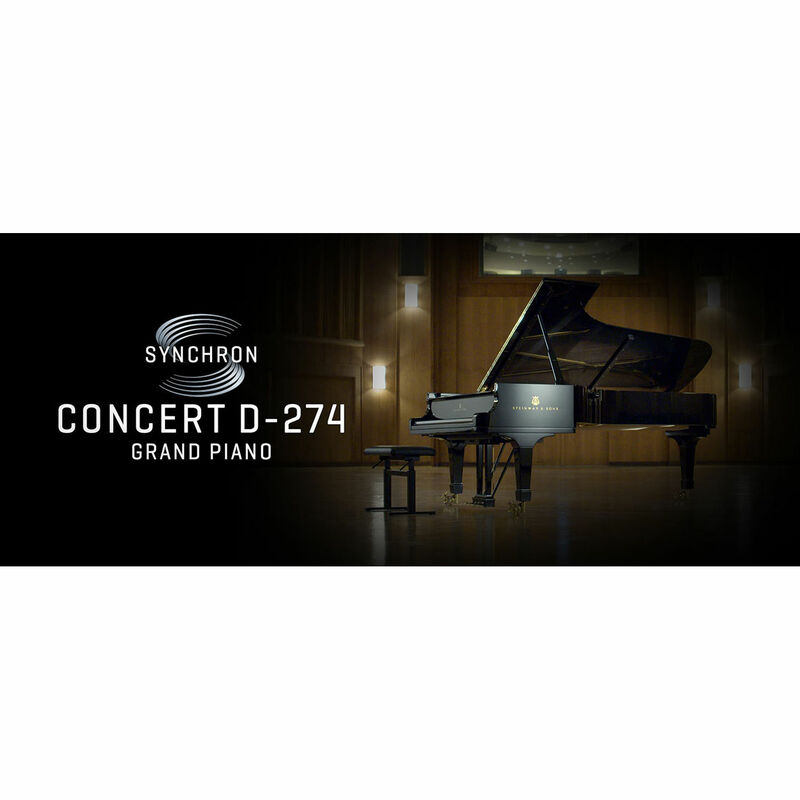 The Concert D-274 comes with free software to give you multiple options for playing this virtual instrument. The playback engine sports an intuitive interface and works on Mac and Windows platforms. The virtual instrument itself is compatible with any DAW that supports AU, VST, or AAX plug-ins. To capture the Concert D-274 with all its subtleties, the engineers developed a highly precise motion-control system based on a solenoid that controls a noise-free robot digit. The microcontroller moves this robotic finger with super-human precision, providing flexible curvatures for down-strokes and release movements. The MIDI-controlled system delivers more than 100 velocities and various release samples, depending on the preceding note length and various release speeds.